Motorcycle flags are a cool way to advertise a business or brand. Imagine cruising around on your ride with a motorcycle flag to grab attention. 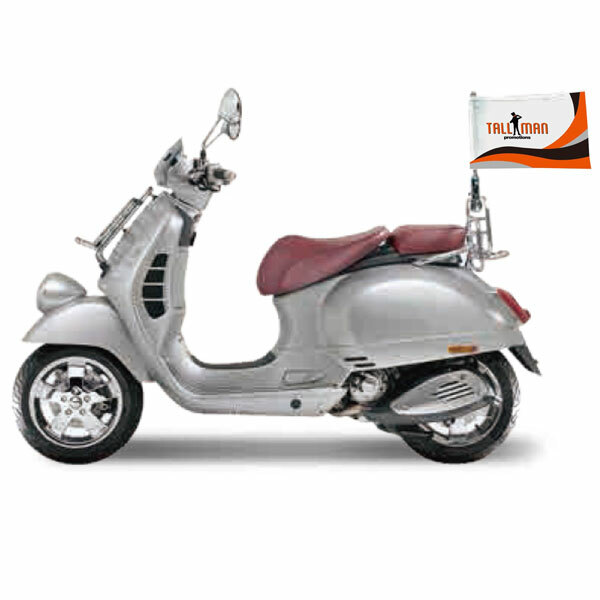 With the addition of a motorcycle flag, your motorbike could be an effective way to advertise. They are great for community barbecues or charity rides or cruising with your motorcycle friends. Our motorcycle flags are completely customizable. The colors, shape and size can all be fit to either match your bike or make it standout. Ranging from the size to the shape and color are all up to you! 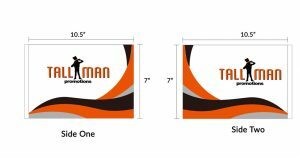 Your bike will be looking great and stylish from a flag from TALLMAN.PROMO. The standard size for Motorcycle flags are 10.5” x 7”. Custom sizes are also available. Motorcycle flag is made out of 100D Polyester or 110g Knitted Polyester.